Mr. Nelson’s practice focuses on nonprofit and for-profit corporate and tax issues in connection with a variety of business and charitable transactions. His practice places particular emphasis on nonprofit and tax-exempt organizations, including the formation and operation of 501(c)(3) public charities (including 509(a) supporting organizations) and private foundations, 501(c)(4) social welfare organizations, 501(c)(6) business leagues and other 501(c) organizations, as well as taxable nonprofit organizations. Mr. Nelson assists nonprofit organizations in obtaining and maintaining tax-exempt status and advises organizations and their boards in connection with ongoing IRS and state law compliance issues, including compliance with Utah’s Charitable Solicitation Act. Mr. Nelson works with the IRS to resolve tax-exempt organization issues and controversies. 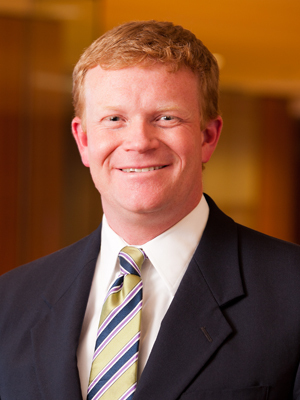 Mr. Nelson was formerly the Chair of the Nonprofit Section of the Utah Bar and is active in the charitable community. Mr. Nelson’s for-profit practice involves representation of corporate and limited liability company entities in a variety of business situations, such as entity formation, shareholder buy-sell agreement drafting, operating agreement preparation, shareholder and member disputes and mergers and acquisitions. Mr. Nelson currently serves as the Utah reporter for Aspen Publishing’s treatise on state limited liability company laws. Mr. Nelson maintains an AV Preeminent (4.8) rating with Martindale-Hubbell, which is the highest rating awarded to attorneys for professional competence and ethics. He has been recognized as a “Rising Star” by Mountain States Super Lawyers (2008) in the category of Tax Law and has also been voted by his peers throughout the state as one of Utah’s “Legal Elite,” as published in Utah Business Magazine (2005-2006, 2010-2019).